Is there a better alternative to Hidden Mysteries: Vampire Secrets? Is Hidden Mysteries: Vampire Secrets really the best app in Adventure category? Will Hidden Mysteries: Vampire Secrets work good on macOS 10.13.4? Hidden Mysteries: Vampire Secrets...What was intended as a relaxing vacation to Savannah, Georgia for Claire Donnelly, quickly turned into one of adventure and mystery! Upon her arrival, Claire started experiencing unusual visions, which grew to vivid depictions of evil forces living among the citizens of Savannah. 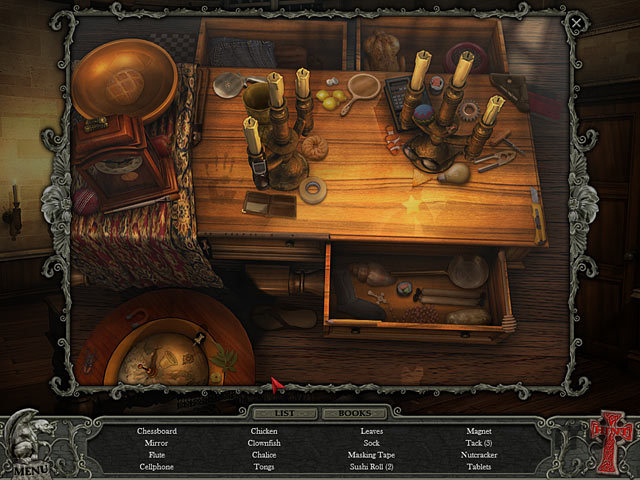 Help Claire explain these terrifying visions in Hidden Mysteries: Vampire's Secrets, a dark Hidden Object Adventure game. Hidden Mysteries: Vampire Secrets needs a review. Be the first to review this app and get the discussion started! Hidden Mysteries: Vampire Secrets needs a rating. Be the first to rate this app and get the discussion started!